Choose from 413 boats in Greece. Charter a yacht in Greece and experience the beauty and wonders of a nation made up of 6,000 islands and over 13,500 km of inspiring coastline. Hop from island to island, anchoring for a swim in the gorgeous bays or to discover ancient ruins before catching the winds to sail on to your next destination. A must see, Greece is home some of the best sailing routes in the Mediterranean. From beautiful beaches, endless hours of sunshine to archaeological sites from antiquity. There is something for every walk of life when booking a yacht charter in Greece. 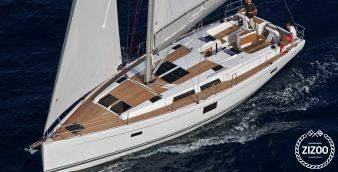 Zizoo offers you a vast selection of charter yachts for hire to make your boat holiday dreams come true. Choose from our fleet of sailboats, catamarans, gulets, speedboats and RIB rentals in Greece. Our marinas are ideally located near international airports, making them easily accessible for you to start your boat holiday hassle-free. Sail from any of our bases in Greece which include Athens, Alimos, Corfu, Rodos and more. Get ready to explore traditional fishing villages during your sailing vacation. Discover delicious traditional Greek cuisine combined with local wines. In the evenings, dock at one of the many vibrant Greek marinas, where you will find a wealth of cafes, bars, restaurants, and grocery stores within the immediate vicinity. Or stop in a secluded bay and enjoy the tranquillity, sunset, and stars in the clear night sky on your yacht charter in Greece. The Ionian Islands, the Cyclades, and the northern Sporades are among the most popular sailing routes for yacht charters in Greece. Thanks to the waters around the Ionian Islands, numerous bays, as well as ideal sailing winds and weather conditions, this route is ideal for beginners. Mykonos, Santorini, Syros, and Ios - the most famous islands of the Cyclades - offer their visitors an exciting nightlife experience. Here are more demanding sailing conditions. The Saronic Gulf, with the islands of Spetses, Poros, and Hydra, offers balanced conditions for sailing. Plus a multitude of beautiful islands with the same amount of ancient sites. Explore the traditional fishing villages during your sailing vacation. Try delicious meals combined with good wine. In the evening, dock in one of the many vibrant Greek ports, where you will find a wealth of taverns and grocery stores in the immediate vicinity. Or stop in a secluded bay and enjoy the tranquillity, sunset, and stars in the clear night sky. Greece is a sun worshipers paradise as it is graced with the sun all year round. Mild winters and hot summers - the Greek climate is one of the best in Europe. The best travel time for a boating holiday in this delightful country is from the months of April to November. The warmest and driest months are July and August. During these months, the temperatures are the warmest and the average rainfall is the lowest. Based on the average rainfall and temperature, the best time to book a yacht in Greece is between May and September. The ‘shoulder months’, May through June and September through October, are milder and also ideal times to hire a boat in Greece. You can expect dry summers with up to 3,000 hours of sunshine per year and cool and wet winters. At Zizoo, we offer over 3,150 boats in Greece. Our fleet consists of RIBs, speedboats, motorboats, motor yachts, sailboats, catamarans, and gulets. 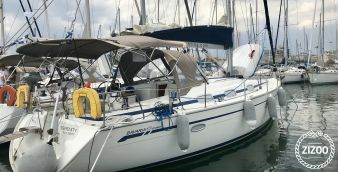 Whether for a day trip, a week at sea, as a bareboat charter, or a yacht charter with skipper or crewed charter, we have the right boat for you. Our Greek yacht charters are based in Athens, Mykonos, Crete, and Corfu. Those who love the need for speed should rent a motorboat in Greece. This is the best way to island hop along the coast in no time. Speedboats in Greece are also a great option for day trips. A sailboat charter in Greece means setting sail on the ultimate sailing adventure. Experience the feeling of freedom on your sailboat as you navigate the seas. 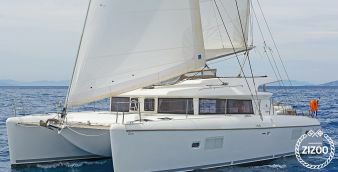 Chartering a catamaran in Greece offers comfort above and below deck for holiday goers of all ages. This is a multi-hulled boat and therefore ideal for people who do not like the swaying of the sea. 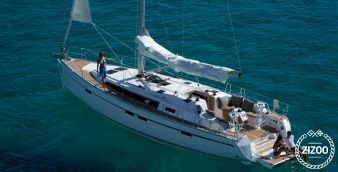 Catamarans are built both for comfort and luxury. Do I need a Licence to Rent a Yacht Charter in Greece? What Kind of Boat Licence is Required for Sailing in Greece? As mentioned above, all boats are required to have a person responsible for navigating. This goes the same for chartering a yacht in Greece. It is an absolute necessity to have a valid boat licence. To be more specific, in Greece (and most European countries), you will be required to have an International Certificate of Competence (ICC). The training for the ICC licence also requires marine VHF radio operation efficiency. The VHF radio licence is also required to ensure one is able to operate the onboard radio. At Zizoo, all of our boat types are available with the book a skipper option. Choose from our skippered boats or bareboat yachts, all of which are very well maintained, clean, and fully equipped for your trip on the sea. With each booking for boat rental in Greece, we make a skipper and crew available to you. If you prefer to sail on your own, our bareboat charters make ideal holiday experiences for the whole family. The skippers are personally selected and verified. They have the right qualifications including adequate experience and knowledge of both the local language and English. The option to customize your sailing routes and destinations is still available. If you are not sure whether you need a sailing licence to book your yacht charter or need a skipper, contact our team of boat holiday experts. They will assist you with all the information needed to charter a yacht in Greece. Greece offers you over 6,000 islands to discover. Accordingly, there are countless routes from which you can choose. If you do not have much time for a week-long boat trip, you can rent a motorboat. This allows you to spend a day trip or more island hopping in Greece with horsepower. For those planning a longer boating holiday in Greece, a week on the sea or longer, read the following sailing routes for vacation inspiration. 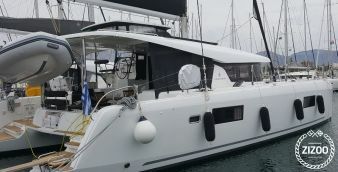 ✔ Journey on the Ionian Sea from Lefkas: Spend a week sailing in the glorious Ionian Sea on your yacht charter from Lefkas, you will visit up to six different Greek islands and cover around 100 nautical miles. This sailing route is known as the inland sea region, as open sea never appears on your horizon and you are never out of sight of land. The route is easy to navigate and best for beginner sailors. 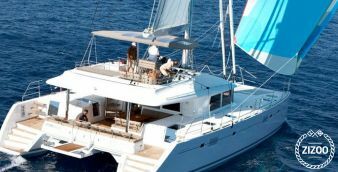 ✔ Island hopping from Athens in the Saronic Gulf: Spend a week sailing in the beautiful Saronic Gulf when you rent a yacht charter in Athens. On this route, you will visit three Greek islands and have the chance to visit two UNESCO sites. You will love the picturesque harbors and fairytalelike villages. You will cover approximately 100 nautical miles when you charter a yacht in Athens. ✔ 7-day dream route from Corfu to the Ionian Islands: Spend a week sailing in the north Ionian Sea when you start your yacht charter in Corfu. In Corfu town, you can readily see the influence of the island's history of occupation by other nations, with its mix of fine Venetian and French architecture. There are some beautiful parks and gardens, as well as one striking legacy of Corfu's brief British rule. ✔ Sailing the Sporades from Skiathos: If you choose to charter a yacht in Skiathos, you will experience an abundance of sunshine and excellent sailing in the Sporades. The group of islands includes Skiathos, Skopelos, and Alonissos. The islands are in close proximity to each other and the southern coasts are relatively well-protected from the Meltemi winds. On this route, you will cover a minimum of 75 nautical miles and visit three different Greek islands when you charter a yacht in Skiathos. ✔ Island hopping from Mykonos to the Cyclades: The picturesque, whitewashed buildings nestled in the hillsides of the Cyclades Islands are without a doubt the most iconic imagery of Greece. However, if you are sailing the Cyclades in high summer it can require careful planning. This sailing route is designed with this in mind, and due to the distances between islands, it may be better suited for more experienced sailors. You will visit up to six picture-postcard Greek islands, covering at least 125 nautical miles when you charter a yacht in Mykonos. Are You Ready to Charter a Yacht in Greece? At Zizoo, we provide affordable yacht charters in Greece. Bareboat or crewed, we will help you make your yacht charter holiday a memorable one. Book your boat charter online or get in touch with one of our holiday planning experts to find out more about the ideal yacht charter for your boating holiday in Greece.